Teen Internet sensation Byron Nicholai is a Yup'ik from Toksook (TUCK'-sook) Bay, a tiny community on Nelson Island just off Alaska's mainland in the Bering Sea. It's about 525 miles west of Anchorage. 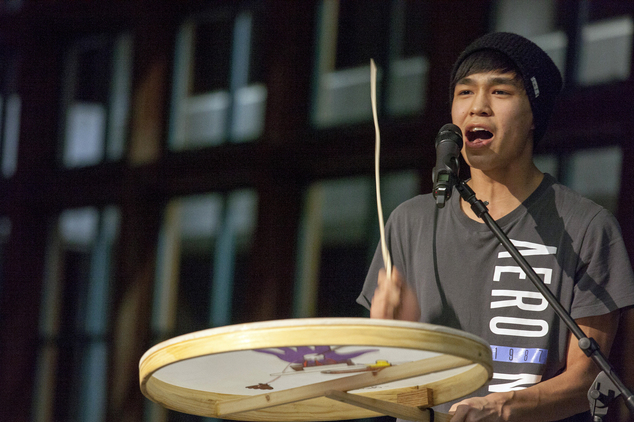 The 17-year-old high school senior performs songs that blend traditional Yup'ik and English. He has more than 22,000 followers on the Facebook page "I Sing. You Dance," where he posts videos of himself singing and drumming. 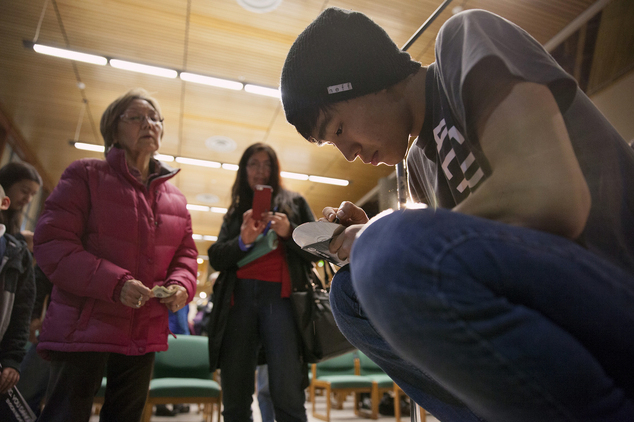 Last weekend, Nicholai performed at the University of Alaska Southeast campus in Juneau as part of a program that prepares indigenous teachers for Alaska's schools. Among the songs he performed was one poking fun at dating in rural, sparsely populated Alaska villages. He called it the "Cousin Song." Before my grandma died her last words were Yuum pingraaci anangnaqsaqunaci umyuarniurutaitniartuci. Jesus-aaq icugg pingraatni uitaurallrulria.TranslationWhen you are hurt by others, do not try to come out on top. This way you will not do things which you will regret. Remember that Jesus didn't retaliate during his prosecution. By singing this song I've managed to remember these words and I sing it to myself as a reminder.My Grandma's Last Words. Responses to "Young Alaska Native, Yup'ik Singer Byron Nicholai Becomes Internet Sensation"
He is an admirable young man. I wish him prosperity and happiness in all his life endeavors!